*Open House Sat 4/27 3pm-4pm. * 25K price reduction! Attractive home on a beautiful cul-de-sac lot in sought after Spring Mesa neighborhood. Enjoy majestic mountain views and the Denver Skyline from this recently renovated Spring Mesa ranch on a perfectly manicured .38 acre lot. Beautiful Chef’s Kitchen with white cabinets, granite counters, stainless appliances & over-sized island. Features include deluxe master suite, main floor office, wood floors, plantation shutters and 4 car garage. Walkout basement has huge rec room & palatial guest suite. Premier neighborhood w/open space trails & award winning schools. Newer floors on main level. Close to parks, trails & lakes. Please, send me more information on this property: MLS# 5841755 – $825,000 – 7755 Terry Court, Arvada, CO 80007. 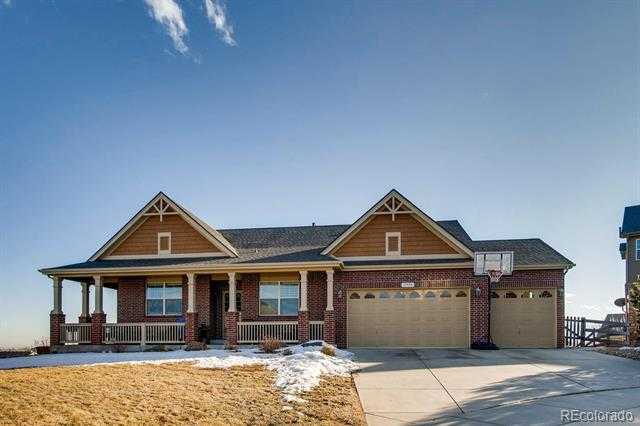 I would like to schedule a private showing for this property: MLS# 5841755 – $825,000 – 7755 Terry Court, Arvada, CO 80007.